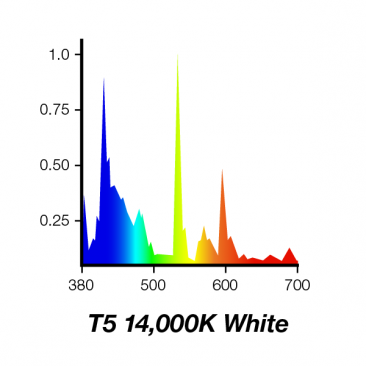 35W – 742mm/30” (l) – 5/8”- 16 mm (w) Our 14000K high lumen output T5 replicates shallow corals light intensity. Light wavelengths within the range of photosynthesis for ideal coral growth. The Juewel lighting on my wife's tank broke,found this lighting bar online at a great price .Rung company to make sure it was compatible and they couldn't have been more helpful.The item was delivered very swiftly ,it was very well packaged and easy to set up.After 2 months it stopped working so i rung iquatics who diagnosed problem over phone and sent me a replacement light tube foc which rectified problem. Great service great value. i fitted one of these tubes to my vision180 expecting the same as the jewel light,when I switched on the difference was superb these lights are far stronger and an even further bonus was the price,coupled to buy2 and get one free.well worth the purchase. 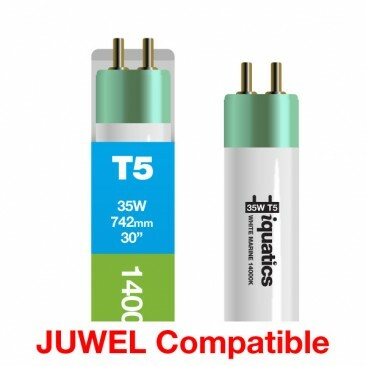 These tubes are excellent value and quality. 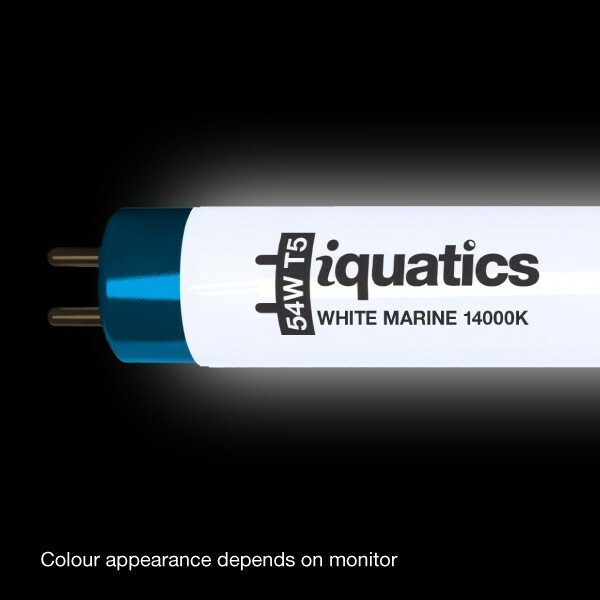 iquatics are efficient and deliver quickly. I have a converted tropical tank which is now a Marine tank but 2 standard juwel t5's dont give anywhere enough light for my xenias mushroom corals and various anemones which require more light than the 2 juwel t5's can give and i was looking to get a completely new light setup for my tank but i found Iquatics online on ebay and thought i would give their t5's a go and i am glad that i did as all the corals and anemones look much more colourful and are healthier and growing well. I have purchased 3 sets off Iquatics on line now and they give very good advice and have great communications skills and do rapid delivery EXCELLENT!!! very impressed with the service. the bulbs have lit my tank up fantasticaly will be telling friends and family about them and will be ordering my next lot from iquatics as well. 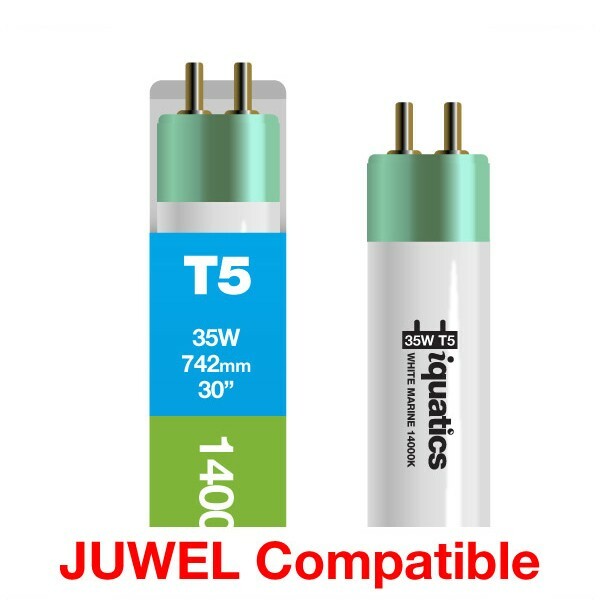 I got these 35w juwel compatible tubes for my marine and it looks fantastic!